There is a lot of tension for mothers when their kids invite their friend at home for an evening get together. This recipe is a perfect solution to this problem. 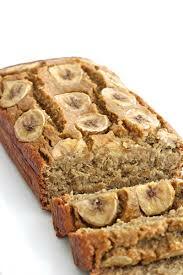 Kids just love banana and bread so why not combine both to give them a tasty, attractive and healthy dish. 1½ cups flour, preferably wheat flour. 1 cup sugar, brown sugar. ½ cup fresh plain yogurt. First of all, preheat the microwave oven at 350 degrees. Take a bowl and add wheat flour to it. Now add 2 tsp of baking powder and mix well. Now add salt as per your taste. Add ½ tsp of cinnamon to the above. Finally, add 1 cup of brown sugar to the bowl. Mix the above dry ingredients well. Mash the bananas in the above mixture. Do not mash the banana into a paste. Let some pieces be there so as to give a good taste of it. Now take another bowl and add yogurt and vanilla extract. Now add the yogurt and vanilla extract paste to the banana mixture. Pour the above mixture in it and bake it. You can add toppings of cherries to it. Banana used in the dish is a great source of vitamin c, vitamin B-12, magnesium and especially potassium. Banana is the key element of the dish and is rich in potassium which helps in maintaining blood pressure. Vitamin C in banana lowers the risk of childhood cancer. Bananas are rich in nutrients and provide immense benefits to the body. However, there is a common misconception that banana can cause weight gain and increase your waistline.